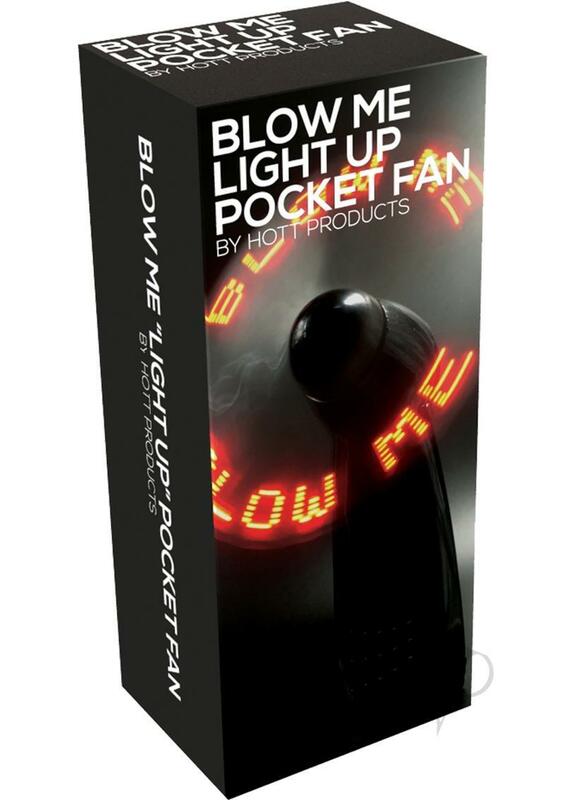 "Blow" your friends away with the "Light Up" BLOW ME Pocket Fan! This cool little fan has what it takes to help keep you cool Anywhere ..Anytime, and it is a great Ice Breaker at parties or any fun get together. Your friends will be BLOWN AWAY when you cool them down with this "Hot"little fan!.